Not all plant problems are caused by insects or diseases. Sometimes an unhealthy plant is suffering from a nutrient deficiency or even too much of any one nutrient. 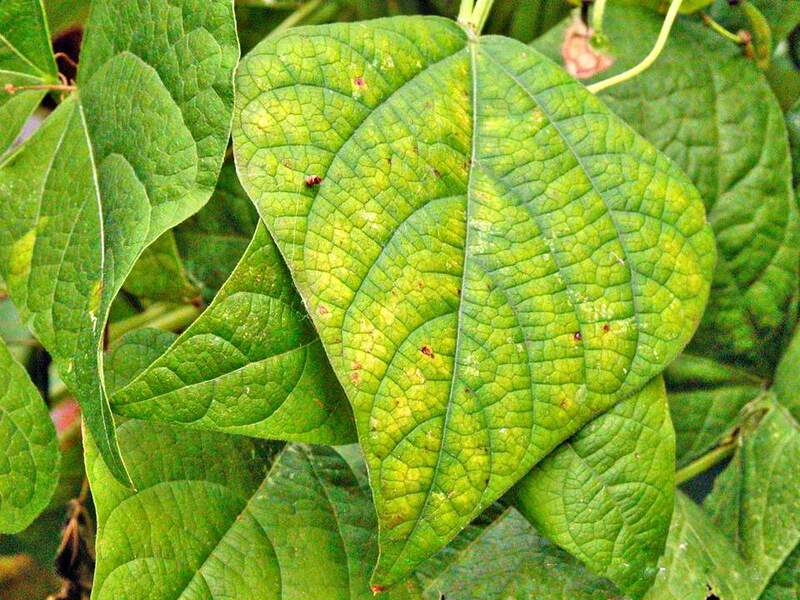 Plant nutrient deficiencies often manifest as discoloration or distortion of the leaves and stems. The following chart outlines some possible problems. Unfortunately, many problems have similar symptoms and sometimes it is a combination of problems, so managing the problem can be a bit of trial and error. Extreme cold or heat will slow plant growth and affect flowering and fruit set. If you can't seem to remedy the situation, bring a sample of the ailing plant into your local cooperative extension service, for a definitive diagnosis. Plants require a mix of nutrients to remain healthy. Nutrients that are needed in relatively large amounts are called the macronutrients. Plant macronutrients include nitrogen, potassium, phosphorus, calcium, sulfur, and magnesium. There are a handful of additional nutrients that are required for plant growth but in much smaller quantities. These micronutrients include boron, copper, iron, manganese, molybdenum, and zinc. How Do Plants Receive Nutrients? All of these nutrients are taken in through the roots. Water transfers the nutrients from the soil to the plant roots. So one requirement of sufficient plant nutrition is water. A second requirement is the appropriate soil pH for the plant being grown. Each plant prefers a specific pH range to be able to access the nutrients in the soil. Some plants are fussier than others, but if the soil pH is too acidic or alkaline, the plant will not be able to take in nutrients no matter how rich your soil may be. Symptoms: New leaves are distorted or hook-shaped. The growing tip may die. Contributes to blossom end rot in tomatoes, tip burn of cabbage and brown/black heart of escarole & celery. Sources: Any compound containing the words: 'nitrate', 'ammonium' or 'urea'. Also manure. Sources: Compounds containing the words 'phosphate' or 'bone'. Also greensand. Notes: Very dependent on soil pH range. Sources: Compounds containing the word 'sulfate'. Symptoms: Growth slows. Younger leaves turn pale yellow, often starting between veins. May develop dark or dead spots. Leaves, shoots, and fruit diminished in size. Failure to bloom. Notes: Can become limited in higher soil pH. Once you get your plants back to health, keep them growing that way by amending your soil every year with fresh organic matter and have your soil tested periodically, to correct imbalances before they become extreme.